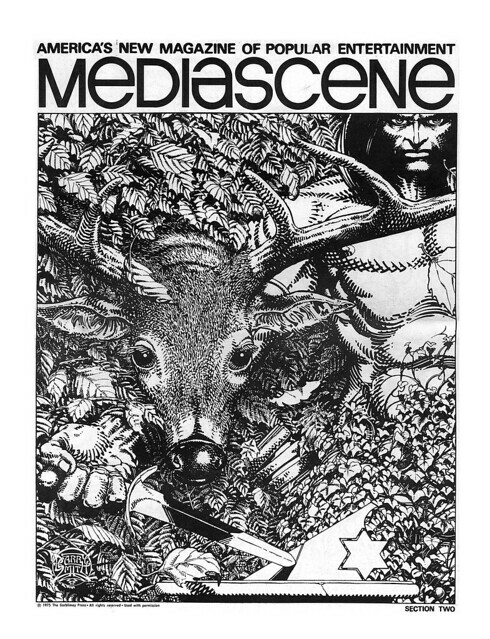 When Jim Steranko’s magazine ComixC morphed into MediaScene, it was a meaty newspaper sized publication. It was so big, in the early days, that it came in two sections. The second section often had a cover illustration in black and white. Berni Wrightson provided this illustration brewing up a scary concoction for a 1975 issue. 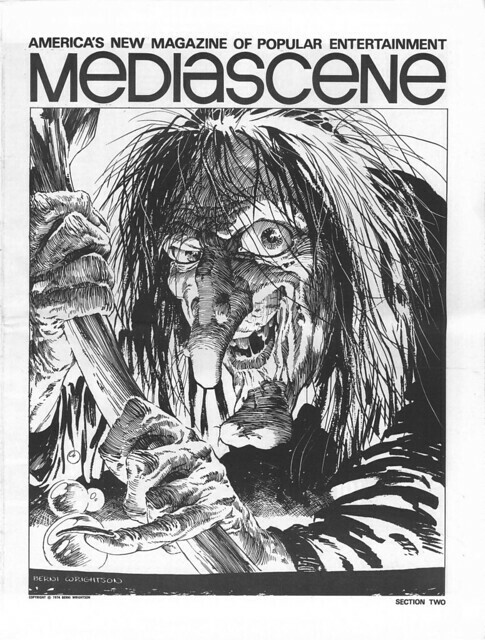 This image has been used many times, once as the cover to a Wrightson art book, and another time as the cover to Pacific Comics Master of the Macabre. Barry Smith was also the maser of fine detail pen and ink illustrations during this period. This one was also produced as a print for Smith’s Gorblimey Press. At one point in my life I wanted to be an artist. I couldn’t imagine how many hours it must have taken Smith to draw each little leaf and detail. Staggering! Nuff Said.